Bliss Triple Oxygen Instant Energizing Eye Mask is like an energy drink for your eyes. This instant brightening treatment is 'eye-deal' for those who want to fake a full 8 hours of sleep. Brighten, de-puff and de-line under eyes in one easy step. With 3 forms of glow-inducing oxygenation, antioxidant vitamin C and puff-pummeling cucumber extract, it'll leave eyes looking lively in 15 minutes flat. 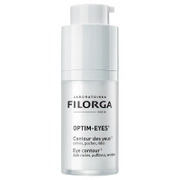 Brightens, de-puffs and hydrates the eye area. Instantly delivered a 27% reduction in the appearance of fine lines, with just one use! 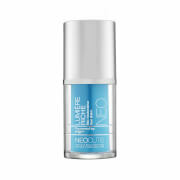 Helps protect and strengthen collagen structure. Bliss Triple Oxygen Instant Energizing Eye Mask comes in a box of 4 unique twin-chamber packets (1-month supply). Press firmly on fluid chamber with both thumbs until it 'pops' releasing fluid into mask pad chamber. Once pads are fully saturated, peel back foil and apply one pad to each under eye area. Leave on 15 minutes, then remove and discard pad. Do not rinse eye area! Allow ingredients to penetrate and follow with eye cream. Makeup can be applied over. 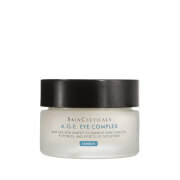 Use once per week or as needed for under eye revitalizing. Tip: For extra de-puffing power, chill the dual chamber packet in the refrigerator for up to 5 minutes prior to application. I am in search of the golden under eye treatment for home use. I was extremely disappointed in the Bliss triple oxygen instant energizing eye mask. It didn't depuff, it didn't hydrate, it didn't brighten. Buyer beware it Doesn't Work. The eye masks were VERY easy to use. You do not need to be very strong to pop the clear container; it will go ON IT'S OWN into the other pocket which contains the pads themselves. I broke out a little from using the eye pads, which is common with retinol use (it was my first time.) Overall these pads refreshed my eye area, woke me up, smoothed out fine lines and lighten dark circles. Worth it? Definitely! It's like coffee for my eyes!! !I really love this eye mask, it makes my eyes look fresh even if I didn't get a good night sleep. Usually I can find something good in nearly every beauty product I try, but this product was quite possibly the biggest waste of money on skincare I have ever committed. The concept is cool enough: separate compartments keep the eye masks away from the fluid until you are ready to use. It is even fun to pop the plastic and allow the fluid to drench the eyemasks for use...almost suggests a freshness and tailor-made quality. But when applied, the masks are quite messy...despite my efforts to lay down when using, fluid ran down my face every time. And the end result was the biggest disappointment: no results whatsoever. i've tried oodles of eye pads and patches. these are my favorite. they PLUMP and HYDRATE. follow with a good eye cream. makes concealer work better with less. the extra 20 minutes is worth it. if it doesn't do anything, you are probably too young to need it! I was skeptical that any eye product could take care of puffiness, fine lines AND brighten, but I was pleased with the results. The fine lines didn't magically disappear, but they were diminished, and the puffiness was completely gone, which is quite a feat during allergy season. My eyes definitely looked brighter and refreshed.